Celebrating our 25th Anniversary in 2017! Proudly Serving The Rockville Community Since 1992. 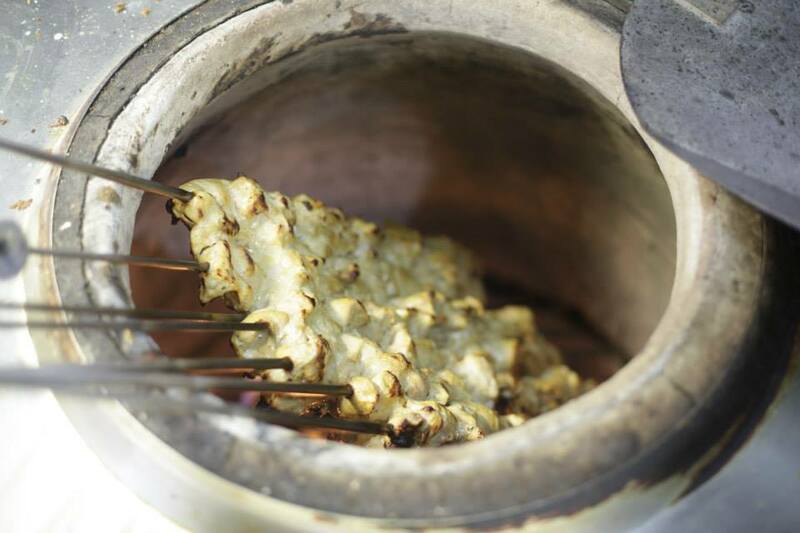 Come Explore The Joys of Indian Cuisine! Established in 1992, Bombay Bistro is a family-owned casual dining Indian restaurant located in the heart of Rockville, MD. Over our 25 years in the community, we have prided ourselves on creating high-quality meals at affordable prices for our community. With an open kitchen, cultural decor, and comfortable atmosphere - Bombay Bistro is the perfect place to celebrate and enjoy a meal with family and friends. Spice up your day with our famous lunch buffet. All you can eat for $11.95! To celebrate 25 years in Rockville, we've created a 3-course prix fixe menu for $25! The Bombay Bistro kitchen has established a reputation for creating bold, flavorful, and authentic dishes. Our extensive menu, featuring an array of dishes from the North and South of India, offer a culinary journey across the sub-continent. 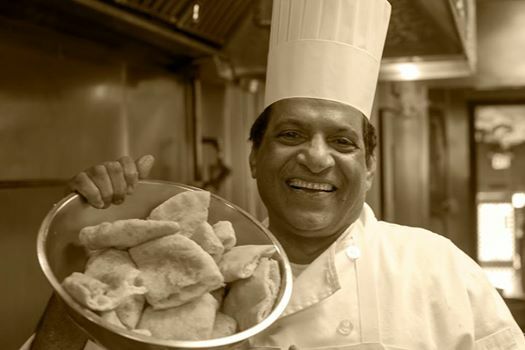 Chef K.N.Vinod and his partner Restaurateur Surfy Rahman from the mid eighties often thought of a simplistic approach to serve fine Indian food in a warm and welcoming atmosphere with prompt and attentive service. The realization of this dream started in 1992 in the form of Bombay Bistro, a unique dining experience. Bombay Bistro set itself apart from the very beginning with a completely open Kitchen and menu, which combined regional dishes from the North and South of India. 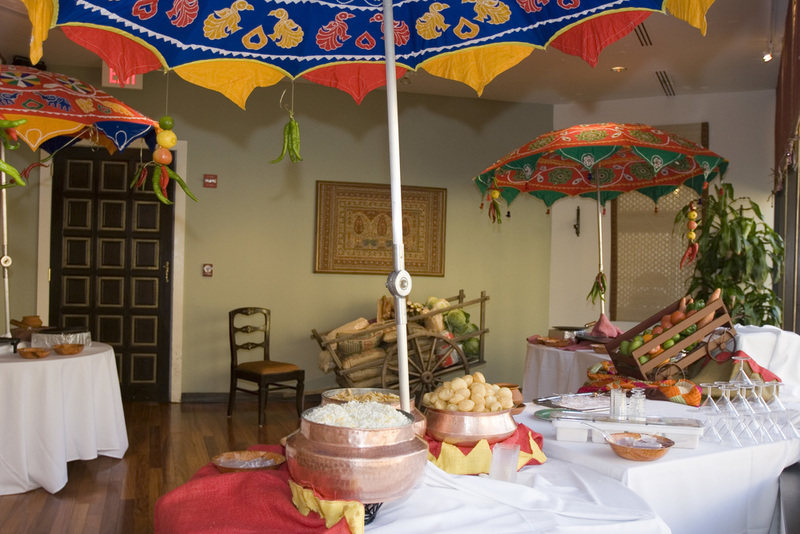 The decor is very ethnic Indian with warm colors and clever use of Indian artifacts. Bombay Bistro is grateful to have hosted many distinguished patrons such as former Secretary of State, Madeline Albright, the Indian Ambassador, and many dignitaries from around the world. Bombay Bistro also had the pleasure of hosting the "Club des Chefs des Chefs" (An international organization of chefs catering to the Presidents, Prime Ministers, Kings and Queens of various countries). Bombay Bistro has won several awards and accolades over the years which include: Washingtonian 100 Very Best Restaurants and 100 Best Bargain Restaurants Award - Washingtonian Magazine 50 favorite Restaurants - Phyllis Richman, The Washington Post Nations Best Meal Deals - Zagat Survey Best Brunches in town - Washingtonian magazine.